In Topic: Any help is good help. 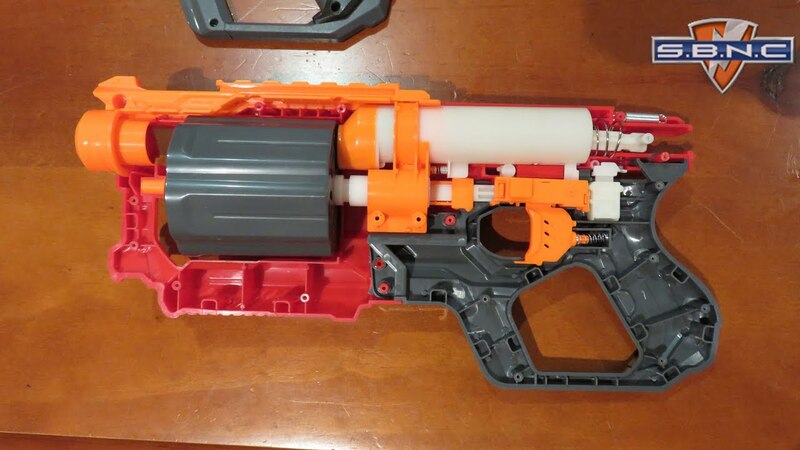 Try taking a picture showing how you are trying to assemble the blaster. And then I or some of the other modders may be able to identify your problem. Before you do that look at a picture of the mega cycloneshocks internals and see if you can figure out the problem. A 3s 1000 mAh lipo is like 15$ 4 imrs can be bought for like 10$ and have 14.8 volts but must draw more than rated current to run stock motors. If you plan on upgrading motors go lipo if you are just going to use stock motors use imrs for cheaper and better gains. If you use imrs in upgraded motors you will destroy them. How many fps will taking out the thermistor give me?